What Makes CAI INC Different? CAI INC is a privately owned and family operated ink and coating company. We manufacture full lines of solvent based and water based flexographic and rotogravure inks and coatings. We have been supplying and servicing flexographic and rotogravure printers since 1985. Our mission is to supply top quality inks and coatings, along with unequaled service to our customers at competitive prices. Our response and delivery is impeccable, in fact the vast majority of our products are shipped out the same day that they are ordered. We are basic in our manufacturing, which allows us to tailor make specific items to fit our customer's needs. Our perpetual research and quality control, enables us to provide our customers with excellent batch to batch uniformity, along with updated improvements, vital to producing quality printing. 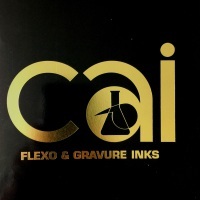 The technical, hands-on service, which we provide to our customers on a daily basis, is what sets CAI INC apart from other ink companies. We believe that it is this commitment to servicing our customers, which has helped CAI INC grow, and will provide continued growth into the future. At CAI INC we are committed to continual improvement that encompasses different paths. *Total Preventive Maintenance (TPM)- Utilizing the TPM principle, CAI INC regularly evaluates and upgrades our equipment to ensure that everything is in top working condition. Through TPM we can be ensured that the integrity of our machines and equipment will lead to products that are produced to the highest quality and consistency. *Lean Manufacturing- The principle of Lean Manufacturing focuses on the elimination of wasted time and materials to streamline the manufacturing process. Through preventative maintenance, housekeeping, inventory control and advanced product staging we can be confident that our manufacturing time is fully utilized and that our output maximized. *Total Quality Management (TQM)- Under this principle, we have an organization-wide effort to continuously deliver the highest-quality products to meet each individual customers needs. Emphasis is placed on defect prevention rather than detection through an attitude of "do it right the first time." One way we accomplish this is to utilize a process of 100% inspection, including the testing of all incoming raw material prior to incorporating them into our process. This ensures that each material used in our manufacturing process meets the established specification requirements.